Happy employees make all the difference in the service world. New Horizon Foods provides excellent training and an outstanding work environment. Here you can see what they have to say about New Horizon Foods in their own words. I enjoy working for New Horizon Foods. They are a wonderful group to work for. It makes it easy to go in to work when you love your job. I have never had any trouble getting time off for whatever I needed. New Horizon Foods has been my employer for the past 10 years. 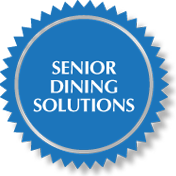 The working relationship between the Retirement Community where I work and New Horizon Foods makes my job as the Director of Food Service a great partnership to be in. They both have the same goals in mind for the residents who live on our campus. As an employee of New Horizon Foods I receive great support from the District Managers and Owners of the company. They give their Directors of Food Service the opportunity to set goals for themselves and with the clients. New Horizon Foods encourages us to have fun with our jobs and to keep the clients and staff involved. They also offer ongoing education for staff and Directors. New Horizon Foods is a strong company with great leadership. I love the flexibility of my schedule which enables me to work my other jobs. I have worked for New Horizon Foods for 2 ½ years. It has been a pleasure to have the opportunity to serve the residents and form everlasting relationships with each one. I feel like having this job has taught me important skills that will be carried into the future. The residents and staff make work a warm and fun environment.